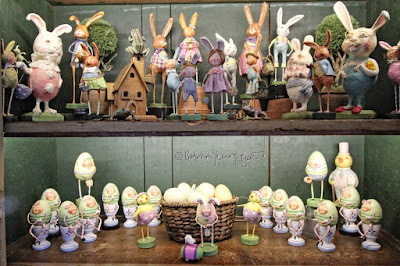 Today is Easter Sunday and for those of you who celebrate this holiday, I wish you a blessed one. As for me, I am a bit dry when it comes to organized celebrations of this blessed time. 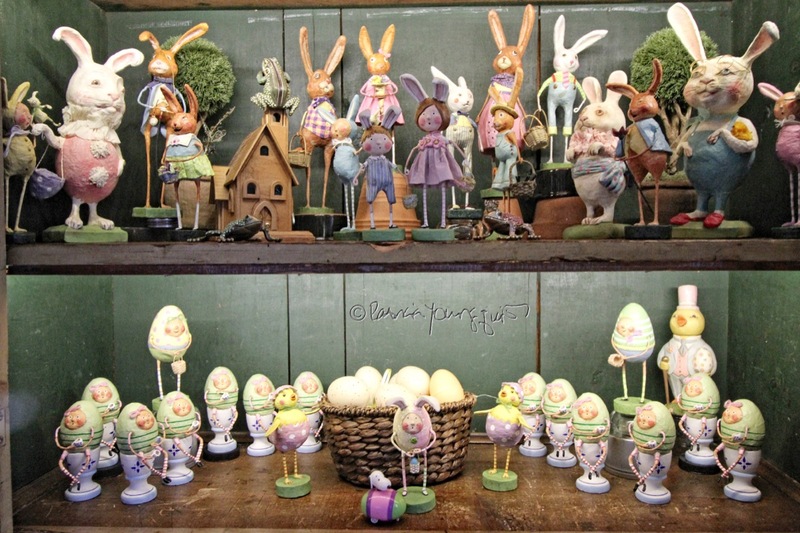 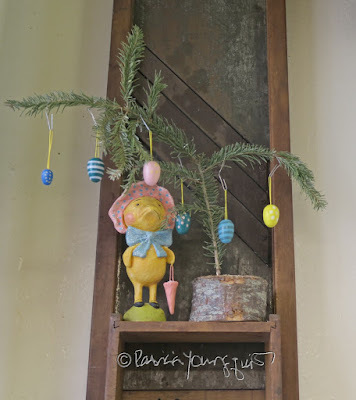 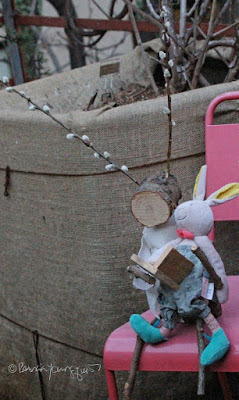 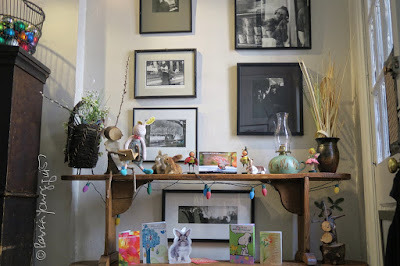 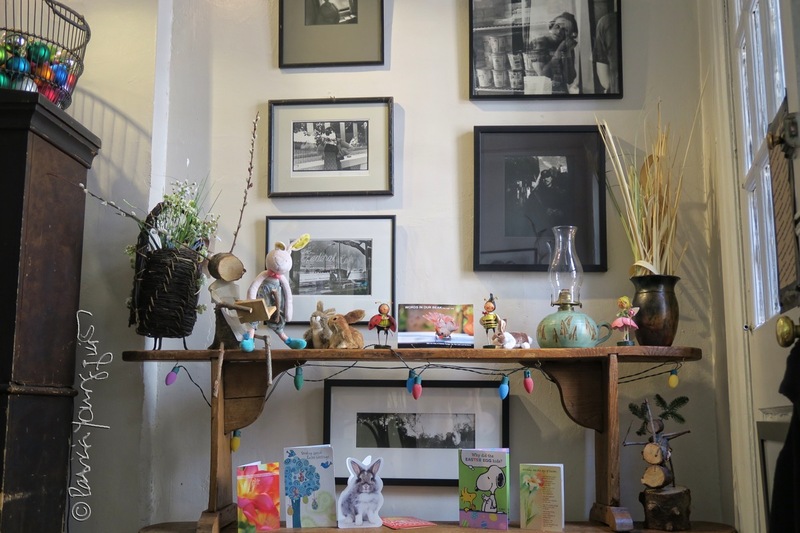 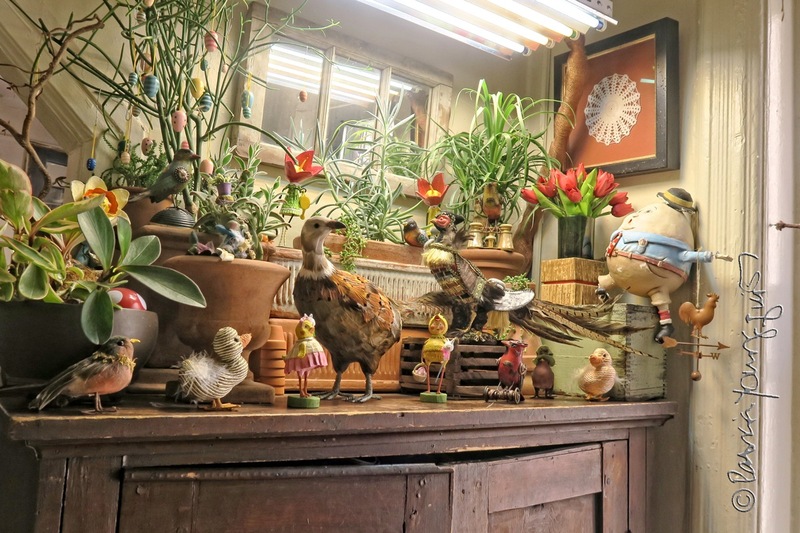 It was quite an effort for me to put out my Easter figurines this year; and if you follow me on social media, you might recall that in by gone years I've created story-lines for my whimsical visitors who visit my main living area where they spend time in my armoire (as seen above) and atop my set of benches (as seen in the following image). ... prior to me de-winterizing it (unwrapping the containers which house my flora), and reading a draft copy of Words In Our Beak Volume One, prior to it being converted from digital into the soft-cover format that is now available in the MagCloud Store. 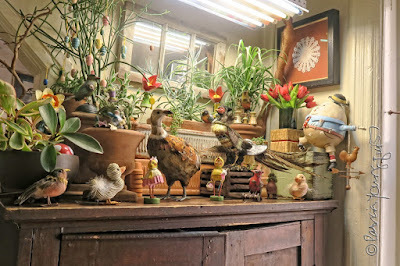 which is across from the armoire. I'm grateful that these whimsical characters have the power to distract me from my moments of spiritual dryness, especially at Easter time! 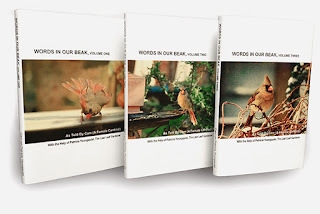 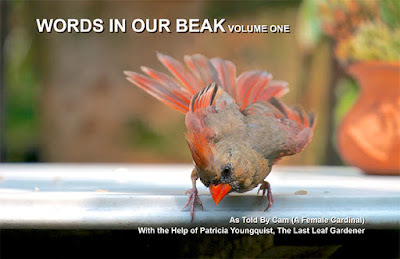 The digital and softcover versions of Volume One within the Words In Our Beak book series that are mentioned in this entry may only remain available for a limited time, but hardcover versions of Volume One, Two and Three can now be found wherever books are sold.